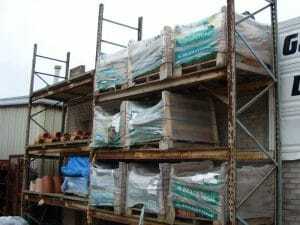 No matter how thick the steel is in your Pallet Racking – it will still corrode if it is unprotected. Pallet Racks utilised in external yard environments or harsh conditions such as chill stores should be galvanised, paint will only protect against corrosion in the short term. 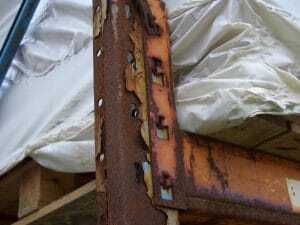 Corrosion is an indicator of the metal weakening, even if you adhere to the original weight allowances the mass of storage can prove too much for weakened racking resulting in a collapse. If it comes down on someone you could ‘go down’ with it!